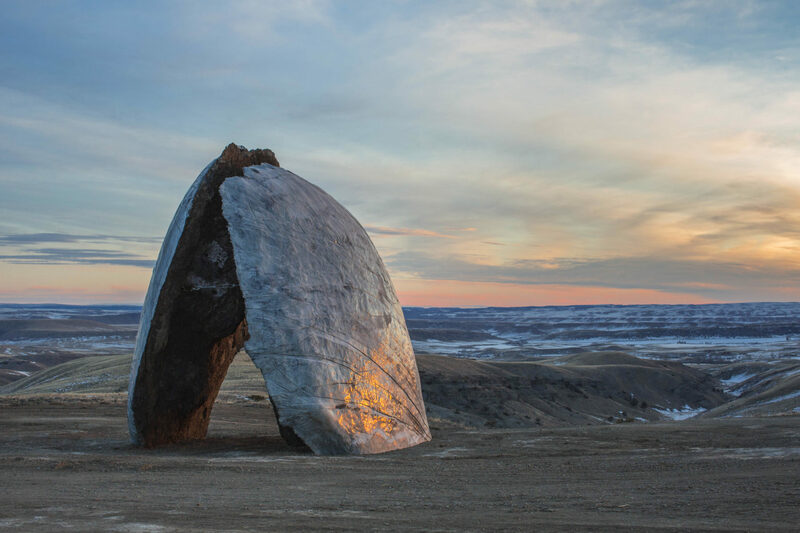 Ensamble Studio’s large-scale sculptural installation, *The Beartooth Portal* at Tippet Rise Art Center, a privately-funded contemporary art and music center in Fishtail, Montana. Take the first right after you pass the Cowboy Bar and Supper Club on the corner of Main Street and Nye Road in Fishtail, Montana, and you’ll find yourself ascending a sparsely populated, six-mile-long gravel road toward Tippet Rise Art Center, the world’s largest sculpture park by landmass. 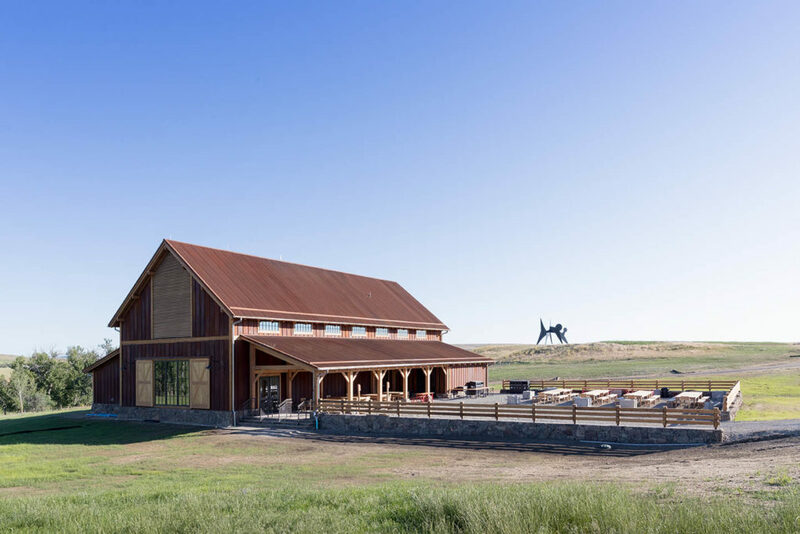 Located on a 10,260-acre working sheep-and-cattle ranch midway between Billings and Bozeman, the art center opened to the public in June 2016. 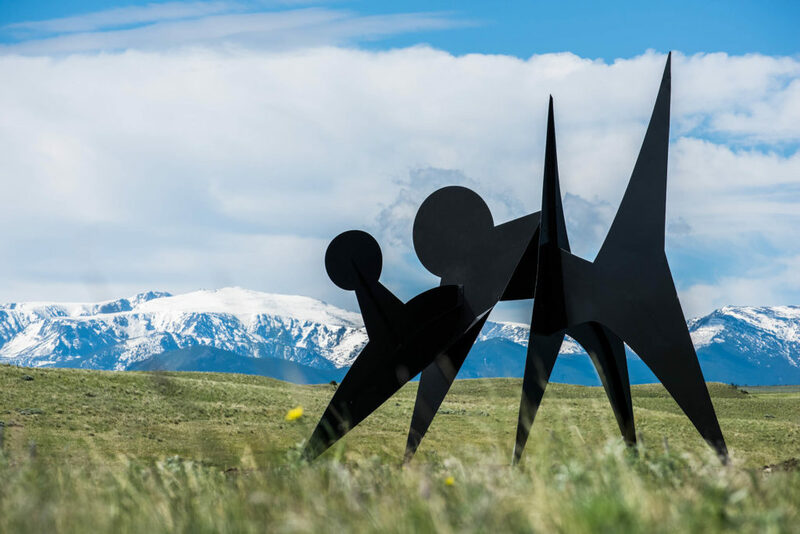 Seven monumental sculptures by the likes of Alexander Calder, Mark di Suvero, Stephen Talasnik, Patrick Doherty, and the design firm Ensamble are nestled within the landscape, all set against epic views of the snowcapped Northern Rockies in the distance. 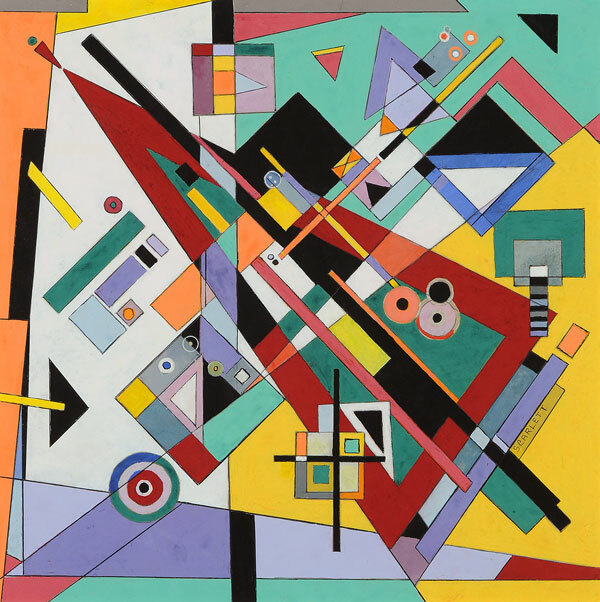 Despite being so new, the center has an undeniable sense of timelessness, as though the artworks have been there all along. The Halsteads have been dreaming of creating an art space that melds art, music, and the landscape for decades, they said. The idea was the product of their individual passions. 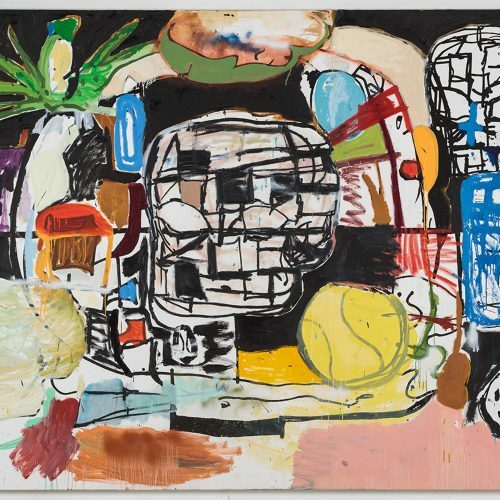 Cathy, who once worked for her family’s liquor-distribution company—and whose father developed and sold Grey Goose vodka to Bacardi—is an avid abstract painter. Peter is an accomplished classical pianist, poet, and photographer. “We wanted to make what we value tangible to others, somewhere that you can have a physical experience with the work,” Peter says. To see Tippet Rise’s sculptures is indeed a very physical endeavor. 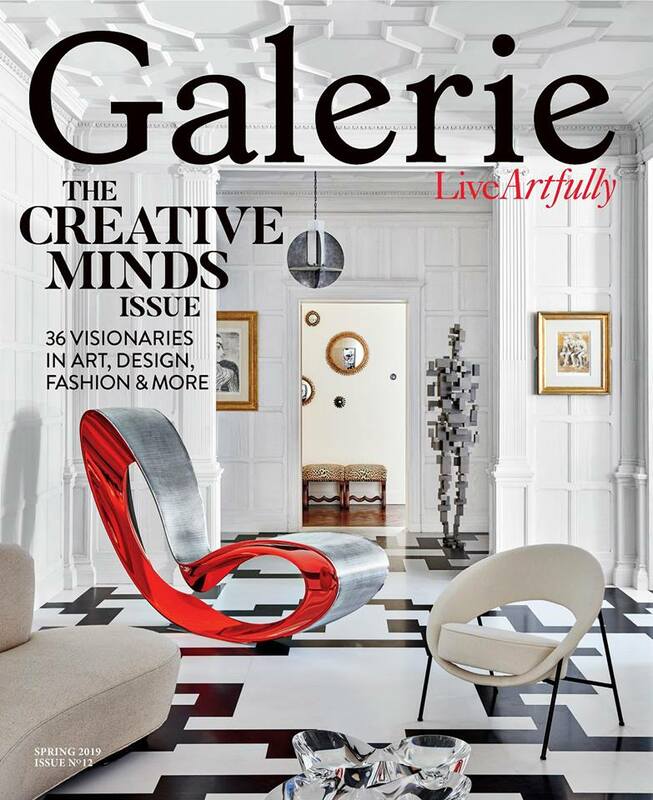 While Calder’s Two Discs (1965) greets you at the property’s visitor center, it’s a trek to see the rest. Nine miles of winding dirt roads and five miles of walking and biking trails connect the sculptures, which dot the expansive property along with a roving herd of sheep. 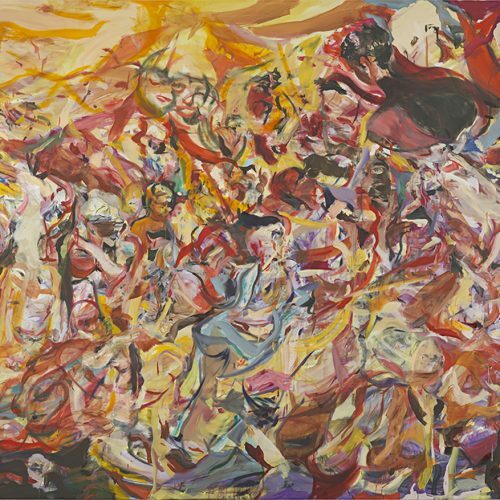 The route can seem like a pilgrimage, making the initial encounter with these works an almost reverential one. 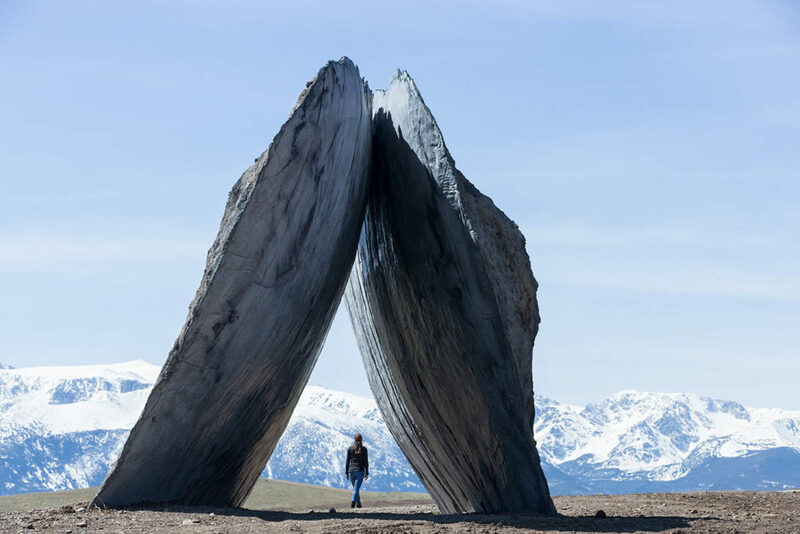 Ensamble Studio’s monolithic structures further enhance the existentialism of the Tippet Rise experience. Commissioned especially for the art center by the Halsteads, the Spanish design firm—helmed by architects Antón García-Abril and Débora Mesa—created three large-scale works inspired by cosmic and geologic phenomena. Two bookend pieces, called “portals,” sit atop distant hills facing each other, like Stonehenge gateways. Their lean-to construction pays homage to the dramatic palisade formations of the adjacent Beartooth Mountains, which are undulating ridges created by tectonic shifts that seismically pushed the sea’s bedrock skyward 600 million years ago. We liked this idea of something prehistoric, something that suggested a time beyond the scope of humanity,” says Peter. 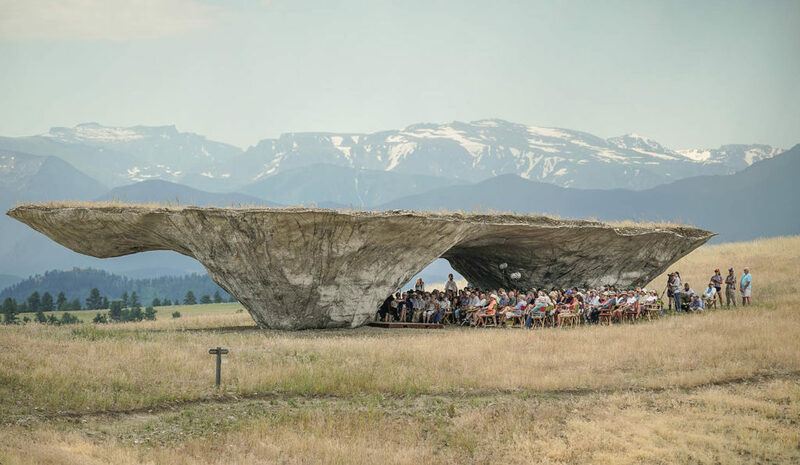 Rising roughly 25 feet in the air, Beartooth Portal (2015) and Inverted Portal (2016) are each made of two 200-ton cement slabs cast from shallow basins that the Ensamble team dug into the ground on-site. 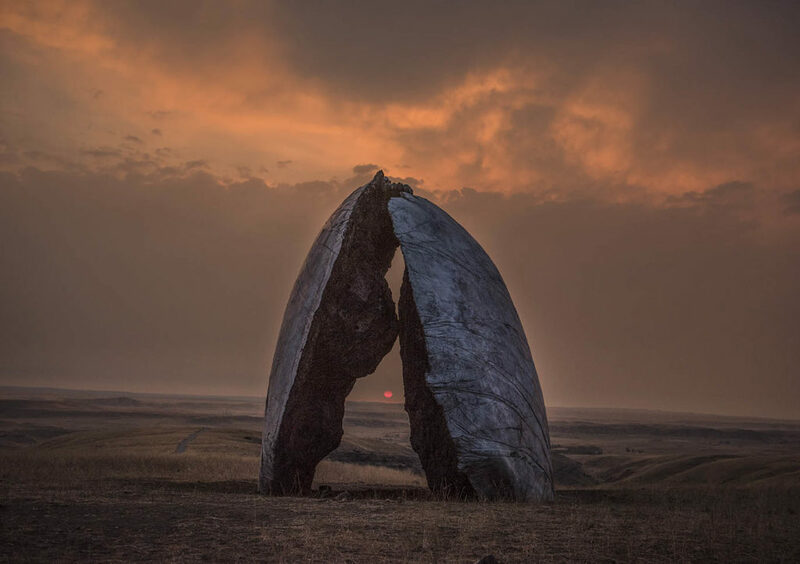 The slabs, pulled upright with the help of the largest cranes in Montana and tethered at the top with steel pins, may be born of the ground, but they point to the sun and stars—the movements of which have also long been used to measure the passage of time. 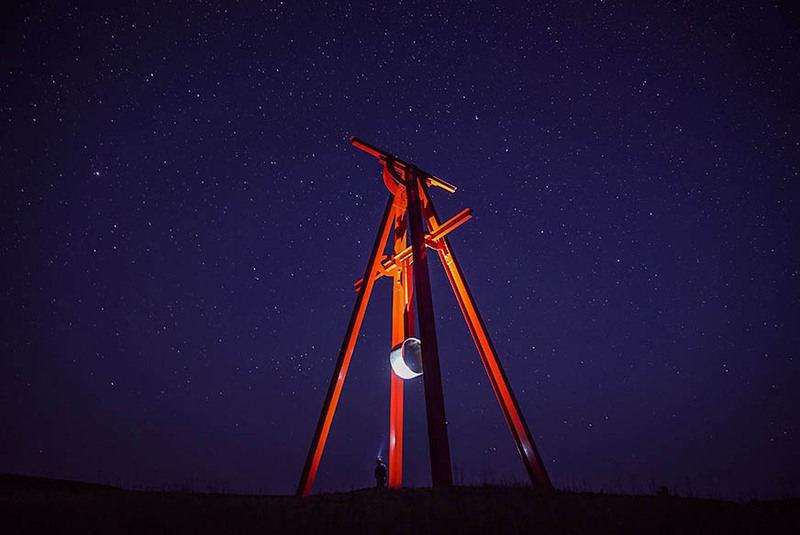 Mark di Suvero’s Proverb (2002) also gestures toward marking time. Unlike Ensamble’s raw, organic-looking works, the bright red steel of di Suvero’s sculpture stands out against the pale grass and blue sky. With its polished metallic pendulum, which moves ever so slightly in the breeze, it becomes a macroscopic metronome, keeping time with nature—a fitting work for an art center whose programming is centered around classical music. As they planned from the outset, the Halsteads host an annual festival of chamber music and recitals held both indoors and out. 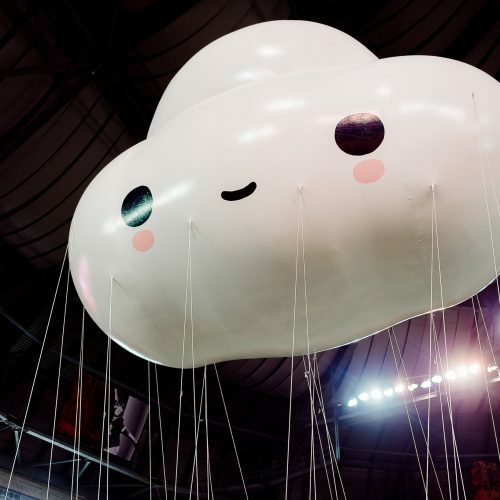 Performances often take place under Ensamble Studio’s third contribution to the landscape, Domo, a 16-foot-tall structure mimicking a mountain plateau and acoustically designed for excellent sound projection under its supportive archways. But most concerts are held in the intimate 150-person Olivier Music Barn.